Reach for the lavender if anxiety levels start rising over the holiday to-do lists. Apply 1-2 drops on your wrists and hold your wrists up to your face to take at least 5-10 deep inhalations or add approximately 5 drops to a hot bath. This can help calm your mood almost instantly. 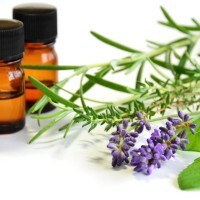 Lavender has also been shown to significantly reduce pain from headaches or migraines. In this case you should be inhaling the lavender essential oil for about 15 minutes.